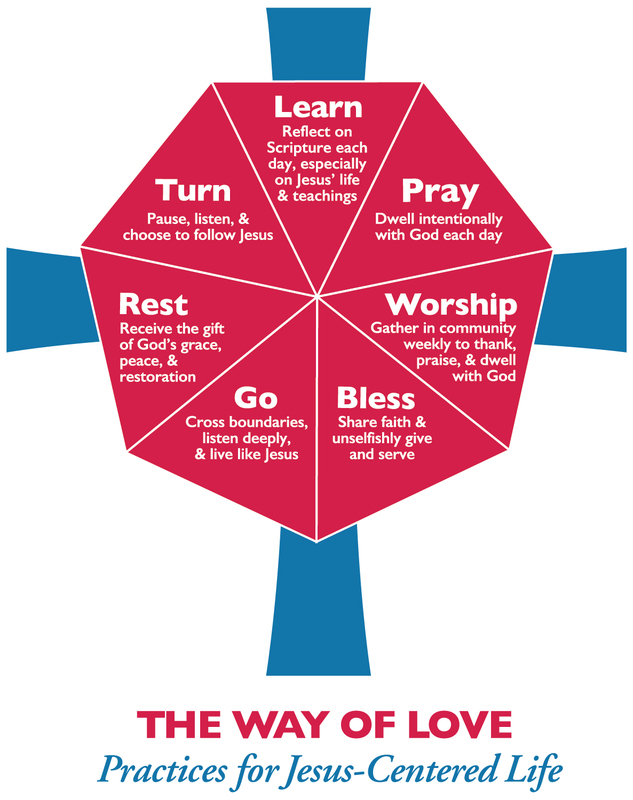 The seven practices of The Way of Love are presented in a circular shape suggesting that there is no appropriate place to begin their practice, and no defined ending, either. The Way of Love, it turns out, is not a linear exercise, but a fluid process that invites us to work through, experience, and dwell in the seven different practices over and over again, back and forth, as the Spirit calls us, to be strengthened in the Lord and to grow in the mind of Christ. Most of us did not choose the moment in which we were put in front of God and invited to “turn to Jesus Christ and accept him as (our) Savior.” (BCP 302) In the Episcopal tradition, we practice infant baptism, and so it was our parents and godparents who chose our initial welcoming into the Christian tradition, often at an age that precludes our remembering the big event. I know that to be true in my case; as an infant, I was tucked into a fine linen dress with both petticoat and lace overlay, white woolen jacket and bonnet, tiny satin slippers, and brought to church, presented to the minister by my mother and father, with my Aunt Audrey, my godmother, standing by to pledge my life to God as a follower of Jesus, graced with the Holy Spirit. I love the physical turningof the candidate towards the east- towards light and the sun, and a redeemed life. I love the intentionality of it. The kinesthetic choice, reflecting the inner, spiritual choice to turn to Jesus and to claim a different way. To turn, to Jesus- It is a powerful, physical symbol. You all know that I do a lot of driving. 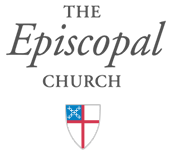 Miles and miles, across our diocese- sometimes multiple hundreds of miles in a week. In the practice of good driving and good road etiquette, I make the practice of using my turn signal- all of the time. I signal my intention to move from one lane to another- for the purposes of passing a slower moving vehicle, or to tuck back into the flow of traffic in the right-hand traveling lane. It drives me crazy when people choose not to use their own turn signals- to me, it indicates a lack of awareness of others, and sends a message of superiority or arrogance, and a disrespect for others in the same space. When we use our turn signals, it shows that we have an awareness of others around us, of the fact that we are part of a community and that our choices influence the experience of others. When we use our turn signals, we signal a shift- in our own orientation, and in relationship to others. When we turn to Jesus Christ in baptism, we turn with an intentionality to claim our place in community, in relationship with other Christians, and in relationship to God. We Turn, and Turn, and Turn again. Early on in the liturgy of Morning Prayer, is the confession and absolution. In these words, we admit our shortcomings to God, borne of our human condition, our intentional and unintentional transgressions, and our desire for forgiveness. Then, in the sentence of absolution, we are redeemed. Again and again and again. Morning after morning after morning. There is something very powerful to me about beginning my day this way. I claim my humanity, give voice to my failings, and ask for mercy. I am assured of my belovedness, and given God’s love to carry on. Each day, I choose this practice. Each day, I turn to Christ. Each day, in this morning ritual, I turn on my spiritual turn signal, and find my place in the continuum of Christians through the ages. Each day, we get the chance, to do it- over and over and over- to turn… and, in the turning, to join a community of the ages, to draw closer to God, and to be redeemed. I was “born” a Methodist and was baptized in that church. As a pre-teen I wished that I could have remembered my baptism and approached my kindly minister with the request for a “do-over”. I wanted to experience this sacred event for myself…and he complied. I’m grateful for his granting of my naive and unorthodox request. I’ve since journeyed through Lutheranism and have arrived, finally and forever, in my Episcopal church home. I’m grateful to that early minister and all those since who’ve escorted, supported and led me on my Journey. Till by turning we come round right.